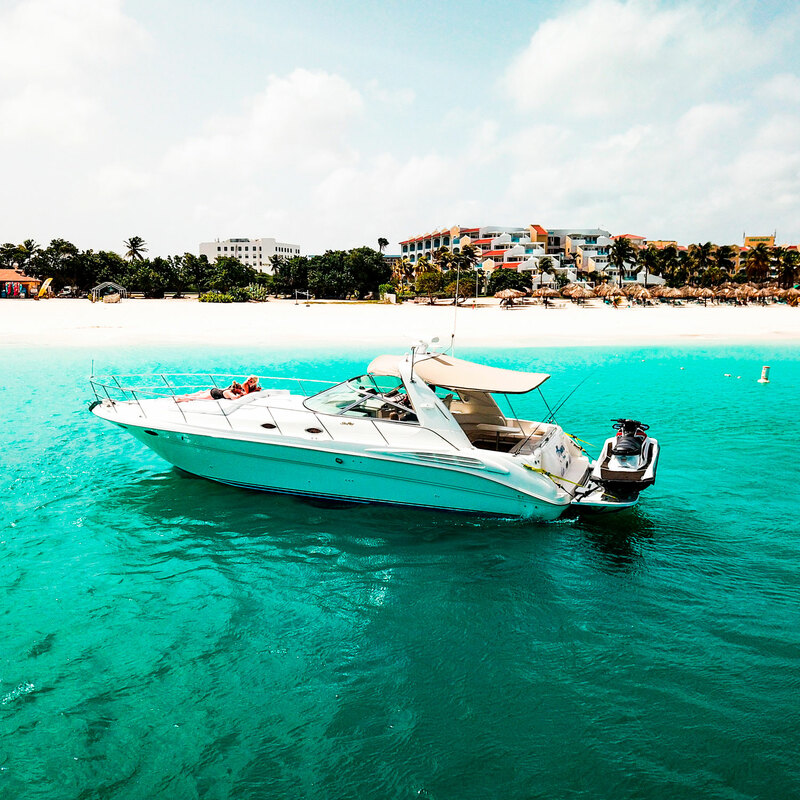 Enjoy your vacation on Aruba with Natasha Sport Fishing Charters! We welcome you on board of our biggest and most beautiful boat. Natasha! Our 42 ft Avenger boat is powered by Cummins Marine 600 horsepower twin diesel engines, offers you deep sea fishing, beach trips and private snorkeling for family and friends at affordable prices, plus the comfort and safety that “Natasha” can offer. 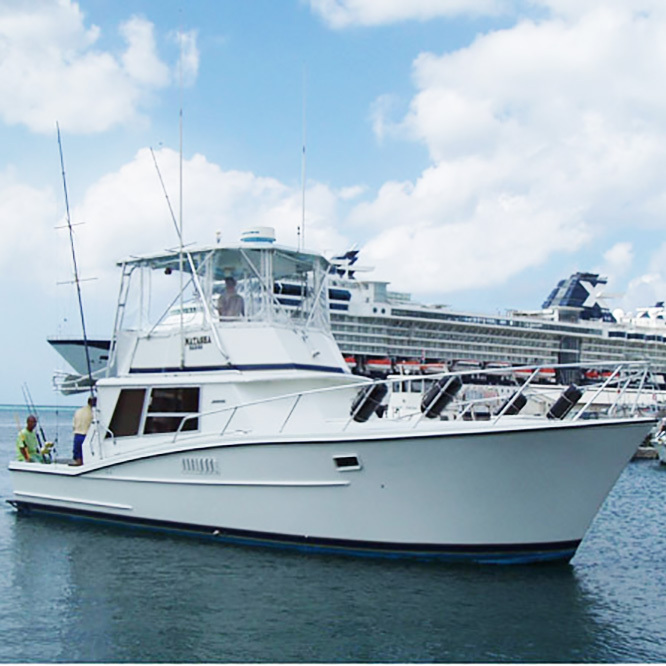 The Captain will guide you to the best fishing spots, where we will fish for Blue and White Marlin, Dolphin, Sailfish, Spear fish, Barracuda, Wahoo, Yellow and Black fin Tuna, King Fish, Amberjack and more. Don’t miss this chance to go fishing in Aruba! Book now for an unforgetable voyage. Bon Voyage! We welcome you on board of our biggest and most beautiful boat. Ariani! Our 40 ft Sea Ray is powered by Caterpillar 700 horse power twin diesel engines, offers you you private cruising snorkeling, beach, trip for family and friends, plus the comfort and safety that “Ariani” can offer.